Bulgaria and Romania agreed today (21 October) that their deal to obtain visa-free travel would be part of the CETA “interpretative declaration”, answering the concerns of the Belgian region of Wallonia. A couple of hours later they realised that they made the wrong decision. Bulgarian Prime Minister Boyko Borissov met with the press while the EU summit was ongoing, to announce the good news that the visa issue would be solved. Canada has a visa-free regime with all EU countries except Romania and Bulgaria. Sofia and Bucharest have no objection to CETA, but are using the opportunity to solve their visa issue with Canada. A regulation which entered into force on 20 December requires EU countries to “react in common” on visa matters, especially in cases where foreign countries “subjects [EU] citizens to differing treatment”. Meetings in various formats have been held between Canada, the European Commission, Bulgaria and Romania, in an effort to solve the issue. Meetings in various formats have been held between Canada, the European Commission, Bulgaria and Romania, in an effort to avoid a possible veto from Sofia and Bucharest on the Economic and Trade Agreement (CETA) between the EU and Canada. Borissov said that together with the Romanian President Klaus Iohannis, they had received written assurance that from 1 December 2017 Canada would abolish the visas for Bulgarian and Romanian nationals. On this basis, he said that together with Iohannis, he had decided to back CETA just as all other members of the EU. The Bulgarian Prime Minister acknowledged that without CETA it would take much more time to solve the visa issue. Asked by EURACTIV what form these written assurances will take, it became clear that they would be part of the “joint interpretative declaration” which was prepared by the Commission together with Canada to accommodate Wallonia’s concerns. Borissov compared the CETA deadlock with the veto “just by one country” on Bulgaria’s Schengen bid. 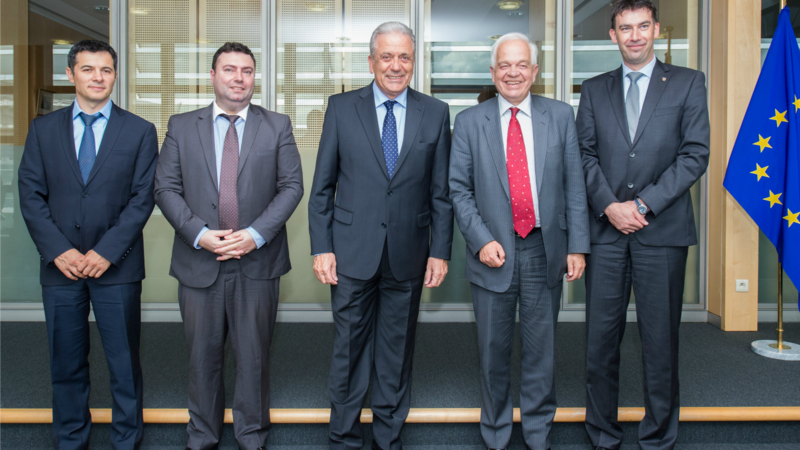 Bulgaria and Romania have indeed been considered ready for Schengen membership by the Commission for several years now, but have been prevented by several countries successively waving vetoes, such as the Netherlands of Germany. 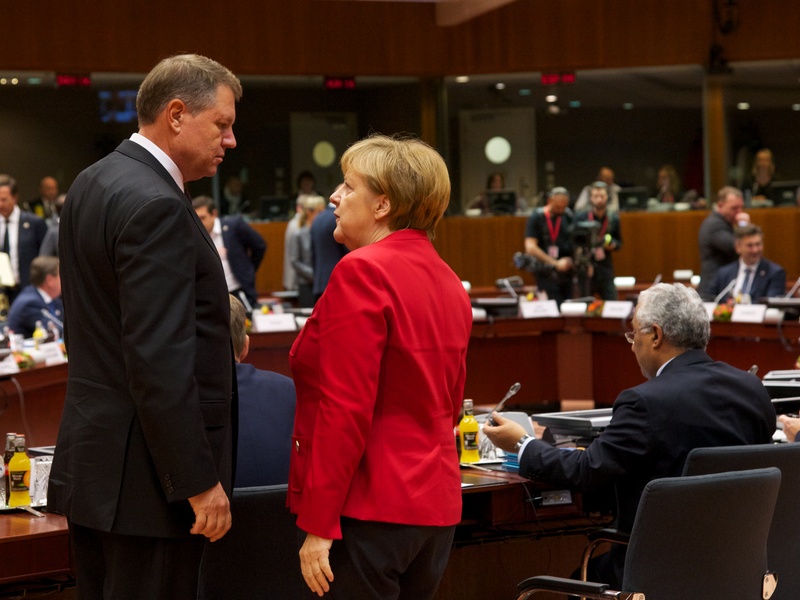 The Polish EU presidency regretted yesterday (22 September) that the Netherlands and Finland had blocked the accession of Bulgaria and Romania to the EU's borderless Schengen area, saying it revealed a crisis of confidence in the Union. The European Parliament lamented that these countries were the victims of "populism". In a separate media appearance, Iohannis also conveyed what he thought was good news to the press. “We have reached a deal with Canada, a reasonable agreement for both parties,” Iohannis told journalists. “Romania has no longer any objections to the commercial trade accord with Canada,” he added. However, a couple of hours later it became known that Wallonia rejected the proposed text. Previously, Sofia and Bucharest had been seeking a separate and “irreversible” legally binding text signed by Canada, as the price of lifting their veto over CETA. Canada, however, has insisted that the two deals are linked and that without CETA agreement there was no reason to speed up the visa issue. It is unclear what made the two countries back down, but now Sofia and Bucharest appear to have lost their leverage – and their veto power – in the CETA case. Wallonia is doing the whole of Europe a valuable service by blocking CETA . It is not the trade deal in itself , but the globalist implications behind it . 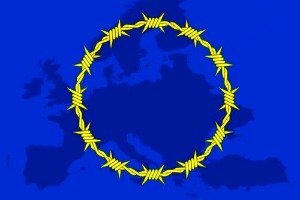 The EU is very weak , has never been a power to reckon with ; tying itself to Canada and the US in foreign policy , NATO and economically makes it even weaker . Populism , Euroscepticism , call it what you will , the people of Europe in their sovereign states will not support being lumped together in a vast corporate conglomerate . CETA and TTIP are recipes for the eventual break up of the EU !!! It is the EN BLOCK corporate and political ties between western countries that is seen as a grave danger to individual European member states . These treaties should be addressed to individual states , but that is not what corporate America is seeking . What does it matter , more than the principle , whether Bulgaria and Romania have visa free travel to Canada or the US . How many of them want to holiday or travel to Canada or the US , not so many , i would guess ? It is never mentioned that the reason for the visa requirement was to stem the influx of Roma refugees from Bulgaria and Romania. At one time the Czech Republic also had a visa requirement for this reason, but was discontinued. It is interesting that a Roma person would find it worth the effort to fly over the ocean and claim refugee status rather than make a go with it in Europe. Why is this never mentioned? A little embarassing? David Barneby just keeps on blabbering his anti-American crap and forgets that Europe has such a disturbing history of imperialism. How did all those African people get to the Americas, David?